DETROIT – Wayne State University Law School welcomed three new faculty members Aug. 17. They are: Assistant Professor (Clinical) Anne Choike, also named director of the Business and Community Law Clinic; Assistant Professor Sanjukta Paul; and Assistant Professor (Clinical) Rebecca Robichaud, also named assistant director of externship programs. Choike joins Wayne Law from the University of Michigan Law School, where she taught as a clinical fellow in the Community and Economic Development Clinic and at the University of Michigan Taubman College of Architecture and Urban Planning in its Michigan-Mellon Project on Egalitarianism in the Metropolis. Her research, teaching and practice focus on how community development is affected by the regulation of business and nonprofit entities and the regulation of business lawyers. Prior to entering academia, Choike practiced corporate law with Jenner & Block LLP and Stroock & Stroock & Lavan LLP in New York City. Choike will redesign and lead the Business and Community Law Clinic as it expands to serve the social enterprise community in Detroit, in addition to the for-profit businesses and nonprofit organizations that the clinic has historically served. Choike’s research in the area of partnerships between for-profits and nonprofits has been published in the Columbia Journal of Tax Law (forthcoming), and she has presented this and other research at a variety of academic forums. Choike earned her J.D. from the University of Michigan Law School and her M.U.P. from the University of Michigan Taubman College of Architecture and Urban Planning. She earned her B.A. from Cornell University College of Arts and Sciences, where she was a Rawlings Presidential Research Scholar and a Woods Fellow. She also studied and researched at Uniwersytet Jagielloński in Kraków, Poland, as a Tomaszkiewicz-Florio Scholar. Paul’s current research centers on the relationship between antitrust law and economic cooperation among working people. She is working on a book on this topic, tentatively called Solidarity in the Shadow of Antitrust (forthcoming from Cambridge University Press, 2018). 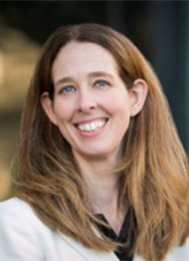 One of her papers was recognized with the Jerry S. Cohen Memorial Fund’s award for the best antitrust scholarship of 2016 (category prize), and another was published in the leading Berkeley Journal of Employment and Labor Law. She previously served as David J. Epstein Fellow at the University of California, Los Angeles, School of Law, where she designed and taught the Workers Rights Litigation Clinic. Prior to her time at UCLA, she was a full-time litigator and also worked on the campaign to reform the port trucking industry with the policy nonprofit Los Angeles Alliance for a New Economy. Paul clerked for Judge Alfred T. Goodwin of the Ninth Circuit Court of Appeals. She is a graduate of Yale Law School, where she was a Coker Fellow. She holds an M.A. in Philosophy from the University of Pittsburgh, where she held a national Andrew Mellon Humanities Fellowship. She earned her B.A. from the University of Iowa. Robichaud began teaching as an adjunct faculty member at Wayne Law with the Asylum and Immigration Law Clinic in 2012. She also taught the Public Interest Externship Colloquium course. She is an experienced immigration attorney whose work focuses on asylum and removal defense. For more than a decade she worked with immigration clients from around the globe including Egypt, Yemen, Rwanda, Uganda, the Republic of Congo, El Salvador and Guatemala. In addition to her immigration work, she represented health law clients in a variety of matters as a partner in the firm Fehn, Robichaud & Colagiovanni. She worked with clients on contract issues, government audits and various litigation matters. Prior to that Robichaud served as the legal director at a local non-profit representing asylum seekers. She was as a post-graduate law clerk with the International Union of the United Auto Workers. During law school she worked with the Legal Aid and Defender Association in Detroit and the Office of the Child Advocate in Georgia as a law clerk. Robichaud earned her J.D. from the University of Notre Dame Law School and her B.A in political theory and constitutional democracy from James Madison College at Michigan State University.